1) What is the name given to a star forming region within a galaxy? 2) Name the closest white dwarf star from our solar system. 4) What is the closest nebula as seen from Earth? ​5) What is the name given to the massive explosion of a red super giant star in its last stage after it has exhausted all its fuel? 6) What is Chandrasekhar limit? 7) Name a constellation that has a nursery for new star formation and also a red super giant in its final stage of life? 8) Which type of stars are believed to be the densest and the tiniest in the universe? 9) Name the galaxy where a bright supernova was spotted in January 2014? ​10) What is the name of a rotating neutron star that emits a beam of electromagnetic radiation? 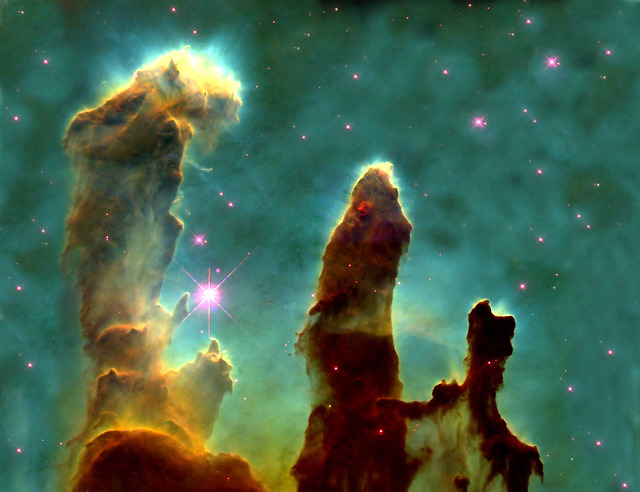 1) Nebula is the name given to a start forming nursery. The stars are born here as a result of the gravitational collapse of gases..
2) Sirius B is the closest white dwarf from Earth. Sirius B is the companion of the brightest star in the night sky, Sirius. There is little chance that any of us would have seen Sirius B as it is washed out by the brighter Sirius. 3) SM 1604, also known as Kepler's supernova was the supernova recorded in our milky way galaxy. The codes for supernova are easy to remember. SN stands for supernova and the number 1604 stands for the year of occurrence. ​4) Orion nebula is the closest nebula from our solar system located at a distance of about 1344 light years. 5) It is called the Supernova. The explosion would make the dying star very bright that its brightness can be equal to billions of Suns for the few weeks or months. 6) White dwarf stars are believed to be stable at 1.44 solar masses or less. If the mass exceeds 1.44 solar masses, the white dwarf stars could further undergo gravitational collapse to become a neutron star or a black hole. This limit is called the Chandrasekhar limit. 7) Orion is the constellation with the famous Orion nebula visible to naked eye and the red supergiant star Betelgeuse. 8) Neutron stars are the densest and tiniest of all. They could be as small as 6 miles in diameter but with a mass of several solar masses. I would have difficulty holding a teaspoon of matter taken from a neutron star as it would weigh billions of tons! 9) A very bright supernova was spotted in Cigar galaxy in January 2014. This galaxy is also known as Messier 82 or M 82. 10) Such stars are called Pulsars. Such stars are interesting because the pulses are emitted like the beam from the light house. We can detect the pulsars only when the electromagnetic radiation is directed towards us and not otherwise. A star goes through a number of stages in its life cycle. It is born in a nursery called nebula. A nebula is formed as a result of gravitational collapse of gases. The star thus formed in a nebula would mature slowly and could house a few planets like our Sun. The stars burn up their fuel to generate the energy required to avert a gravitational collapse. But all the stars would exhaust their fuel at some point of time signalling the end of their life. They could become white dwarf, red giant or even go supernova. Interestingly, the bigger stars die fast as they burn out their fuel very fast to keep their huge size stable. The following questions could be tough but would be enjoyable nevertheless.